Marine Engineers required to update knowledge with technical skills according to technology advancement. Hands on experience with "LIVE EQUIPMENTS" is the real essence of training to enhance the knowledge and skills of engineers. This Course mainly focus on improving practical skills, fault finding and trouble shooting on "Live Electrical Panels of 440V". Practical sessions on complicated live marine electrical panels. 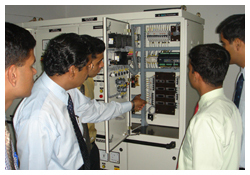 Training on Live Main Switch Board & Emergency Switch Board. 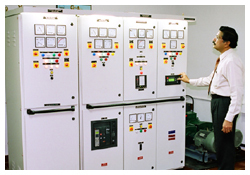 Hands on Practice on Latest PLC Controlled Generator Protection Unit (GPU). 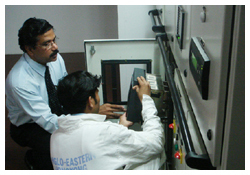 Hands on experience on relay controlled protection unit in the Main Switch Board (MSB). Testing of all alarms and safety trips on Main and Emergency Switch Board (ESB). Shore power supply-connection to Main Switch Board(MSB).